Our product range includes a wide range of film face durable shuttering plywood, shuttering plywood and easy film face shuttering plywood. 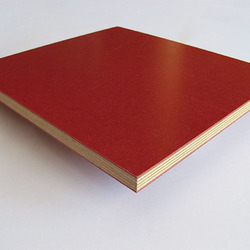 With the valuable assistance of skilled team of professionals, we are offering an extensive range of high quality Film Face Durable Shuttering Plywood that is used in factories, swimming pools and bridge construction. 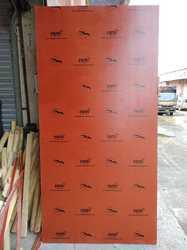 We offer this plywood in different specifications and sizes in accordance with the needs of our clients. The offered plywood is manufactured using the best quality raw material and progressive technology in line with industry norms. 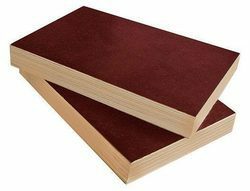 We have become an eminent Organization engaged in manufacturing, exporting and supplying an attractive range of Shuttering plywood that is developed using premium quality wood. The raw material we use in production process of this range is procured from the most trusted vendors of the market. Manufactured under the supervision of our knowledgeable designers, this plywood is widely used in construction process for making towers, tanks and bridges. Looking for SHUTTERING PLYWOOD ?